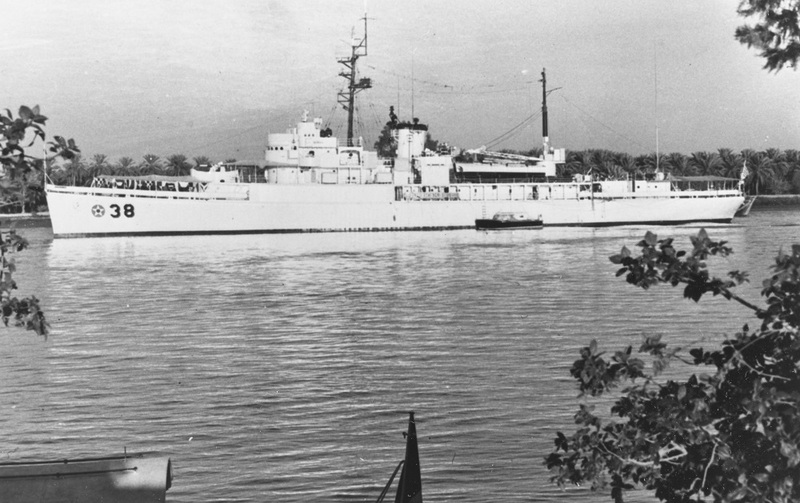 USS Duxbury Bay (AVP-38) photographed in the Shatt-al-Arab off Basra, Iraq, during her visit there on 12-14 December 1961 as Middle East Force flagship. Note she has the old-school Navy seaplane tender marking complete with pre-WWII “meatball” by her hull number. U.S. Naval History and Heritage Command Photograph.